The Hyatt Regency River Walk in San Antonio, Texas underwent a $30 million renovation and remodel in an effort to make the hotel more than just a place to stay but an enjoyable overall experience. The newly renovated entrance and lobby are meant to have an “urban lodge” feel and comfortable yet professional ambiance as well as being more pedestrian friendly. Modern art was commissioned to fill the hotel lobby including a huge glass sculpture that hangs from the ceiling in the foyer and adds color and beauty while still blending with the decor. The hotel now features a new upscale barbecue restaurant presenting different types of barbecue from all over the world, an Einstein Brother’s Bagels bagel and coffee shop and a redesigned bar. 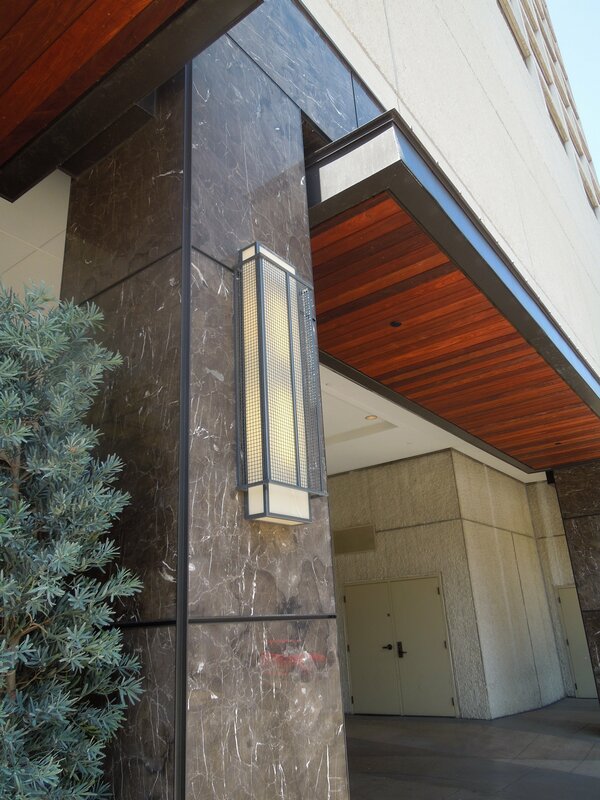 Located in central San Antonio, Hyatt Regency River Walk is a family-friendly hotel just steps away from The Alamo. This Four Diamond hotel is right on the famous and beautiful San Antonio River Walk which features hundreds of unique restaurants, shops, pubs and entertainment venues. 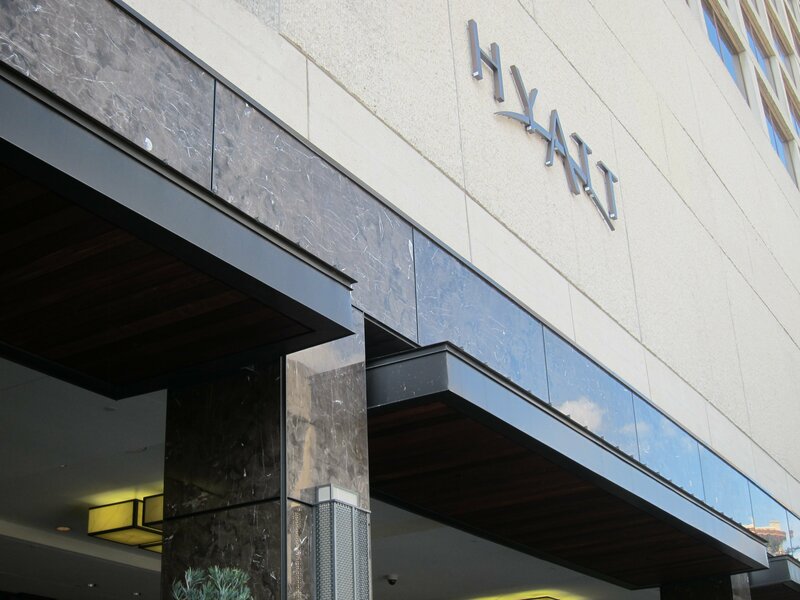 When the 629 room hotel underwent their renovation, The Hyatt Regency contacted StonePly to provide them with the facet for their gorgeous new porte-cochere.